The 2017 MLB Pro Winter Developmental League is scheduled to begin play in just over two months time. Below is a FAQ guide on the draft process and the league in general. If you have any questions, contact the league office via Slack. HOW WILL THE DRAFT BE DONE? 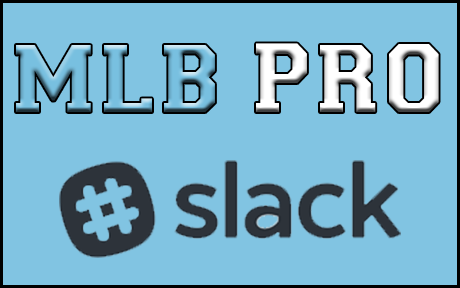 -Each division will conduct their own draft via the slack channel that was created for your division. HOW LONG WILL THE DRAFT TAKE? -The draft has no set timer. That said, their is a hard deadline of the end of November. The league office will monitor each division and make sure things are completed by the deadline. WHO IS ELIGIBLE TO BE SELECTED? -Any player with less than 1 year MLB service time. International System players are also NOT ELIGIBLE. HOW WILL WE ENSURE THAT 35 PITCHERS ARE NOT SELECTED? -Each division’s WDL roster of 35 players must follow the following guidelines of minimum/maximum players per position. REMINDER: POSITION ELIGIBILITY IS BASED OFF OF THE PLAYERS PRIMARY POSITION AS DESIGNATED BY THEIR IN-GAME POSITION LISTING!!!! OKAY, I UNDERSTAND WHO IS ELIGIBLE, BUT WHAT TYPE OF PLAYER SHOULD I SEND? The purpose of the WDL is to give young talent within your system the chance to continue to prove their talents. Perhaps this is a recently drafted player who showed promise in half of a season of minor league ball, or a drafted player who appeared to struggle. Perhaps this is a prospect coming off of injury that you would like to give more at-bats to. Maybe the WDL is a chance for you to give that slightly older minor-leaguer who has outperformed what your scouts have said about him. While there are numerous positives with giving a player extra playing time at the WDL, the biggest drawback is in fact the possibility of injury. While the season is not long and it is expected that players will be given days off to allow others at their position to play, injuries can still happen. Due to this fact, sending players who you expect to make your MLB roster the upcoming season is RISKY, but not necessarily frowned upon. HAS THE LEAGUE OFFICE RECONSIDERED THE RULE IN WHICH PLAYERS SELECTED TO THE WDL WOULD BE INELIGIBLE TO BE TRADED DURING THE OFF-SEASON? -YES, the league office has agreed with the Players Association argument and now players in the WDL ARE ELIGIBLE TO BE TRADED. While players are eligible to be traded, if a player is traded, they will remain active on their current WDL team through the end of the season. While the trade will be processed, the new team is not able to pull a player out of the WDL during the season. WHAT IF I DO NOT WANT TO SEND A PLAYER OR THE MAXIMUM NUMBER OF PLAYERS TO THE WDL? -That’s fine…the draft order will be amended at that point for your division. WARNING THOUGH, IF THIS BECOMES A BIG PROBLEM WITH ROSTERS NOT BEING FULL LEAGUE WIDE, THE LEAGUE OFFICE WILL BE FORCED TO LOOK INTO THE VIABILITY OF THE WDL IN FUTURE SEASONS!! !